Call center outsourcing companies can be very helpful to your business. A call center is necessary, even integral, to many business operations. However, it is often a department that companies struggle to manage and run well. Operating a call center is outside the core capability and expertise of many organizations. Many businesses, especially those that are growing fast, are at a loss for how to scale up their call center. They might find it hard to recruit, train, and manage operators. Often, business owners lament that while there is a wealth of valuable data streaming through a call center, it is incredibly difficult to standardize, capture, and analyze it to make business decisions. Simply put, many managers simply don’t understand the best practices for managing a call center to be an efficient value-add to the organization. For these reasons, call center outsourcing companies can seem very attractive. Essentially, call center outsourcing companies are third parties paid by the organization to completely remove the day to day management and operation of a call center. They contract tasks such as the hiring of employees, training and management, and data gathering and analysis. Some benefits of outsourcing call centers seem obvious. It removes overhead, frees the company to focus on core business operations, and leaves the task of call center management to those who are presumably experts. However, that’s not the whole story. While these call center outsourcing solutions may seem attractive on the surface, there are many factors to consider in making the decision to outsource a call center. Outsourcing a call center can be a high cost. The organization may also lose some flexibility and control over their operations, as the third party will have a standardized manner of doing things (such as hiring operators or gathering customer interaction data). A call center is on the front lines of customer communication; by outsourcing, a company is turning over control of a large portion of their reputation to a third party. This can be a frightening decision indeed. There are alternatives to utilizing a call center outsourcing company that can lighten the burden of call center management while still allowing an organization to maintain control of its operations. 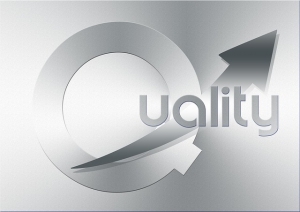 A software based call center monitoring solution, such as Evaluate Quality, can provide businesses with more efficient and sophisticated call center quality assurance. The Evaluate Quality call center monitoring tool can be customized to meet specific business needs, making it both attractive and affordable for a variety of businesses of different sizes and in different industries. To learn more about the benefits available to your business, contact the experts at Evaluate Quality to schedule a demonstration. Evaluate Quality- created by Sage Advantage in Scottsdale, AZ.